Home › Snapchat Selfie Filters › How Do I Get the Snapchat Heart Eyes Selfie Filter? How Do I Get the Snapchat Heart Eyes Selfie Filter? If you do not raise your eyebrows the filter will not work. Also remember that you will need to hit the camera button on Snapchat to actually take a picture. It will not automatically take your picture for you. Have you tried this out? 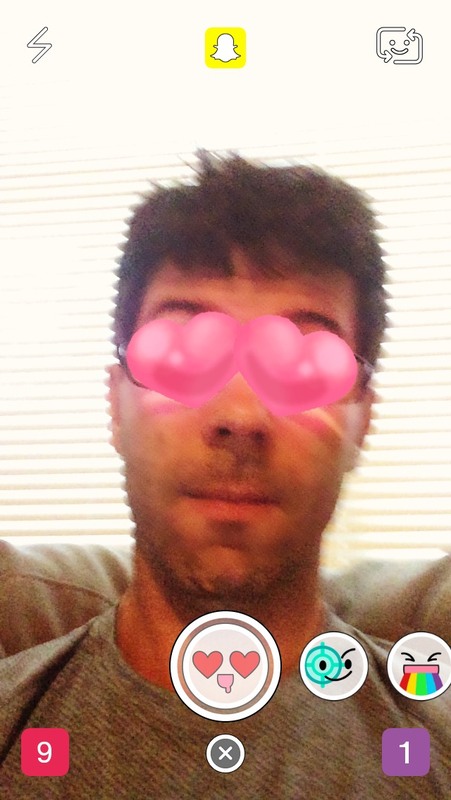 Have you sent snaps with your eyes as hearts? Let me know how you like it in the comments below. Snapchat September 15th, 2015 Update Includes Replay Snaps and Selfie Filters | How Do I Get the Snapchat Robot Face Selfie Filter? Doesn’t work on my old 4s unfortunately! Very disappointed after updating my iPhone 4s I still can’t get the new snapchat filters.